New Listing South Gables location! Waterfront 2bdrm/2 bath 1st-floor condo with balcony & garden views. The condo has an open floor plan with tile & wood floors, updated kitchen with granite counter opens to dining and living, SS appliances, and lots of storage. 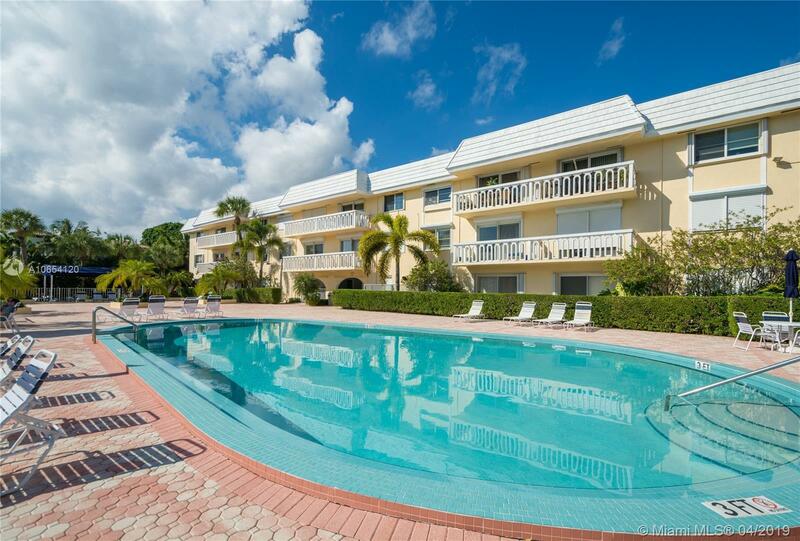 Enjoy the serene pool with amazing bay views and maybe catch a boat ride from the dock area with direct access to the Gables waterway. 1 parking space. Close proximity to South Miami, Coral Gables & Coconut Grove. Directions: Situated Along The Gables Waterway Between The Gables & Coconut Grove, Take Lejeune To Ingraham Highway Which Immediately Intersects With Edgewater Dr. Courtesy of Slesnick & Jochem, Llp. The content relating to real estate for sale on this web site comes in part from the IDX program of the JTHS Council of the MIAMI Association of REALTORS® and their Multiple Listing Service. The copyright for these listings is under the © 2019 MIAMI Association of REALTORS® MLS. This information is not verified for authenticity or accuracy and is not guaranteed. The information provided is for consumers personal, non-commercial use and may not be used for any purpose other than to identify prospective properties for purchasing. This information was last updated as of date specified below. Some properties which appear for sale on this web site may subsequently have sold or may no longer be available. Data last updated 2019-04-25 20:24:51.